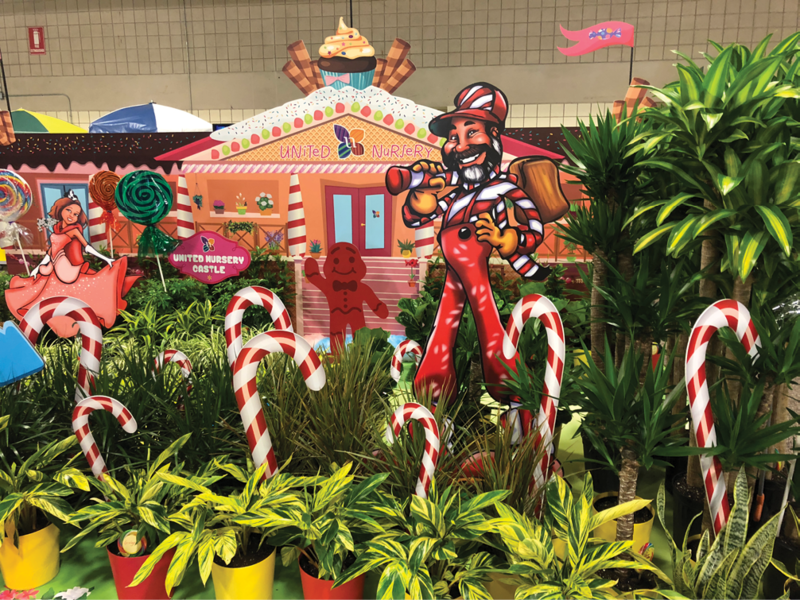 United Nursery’s Candyland-themed booth featured a customized version of the game with characters modeled after actual employees. 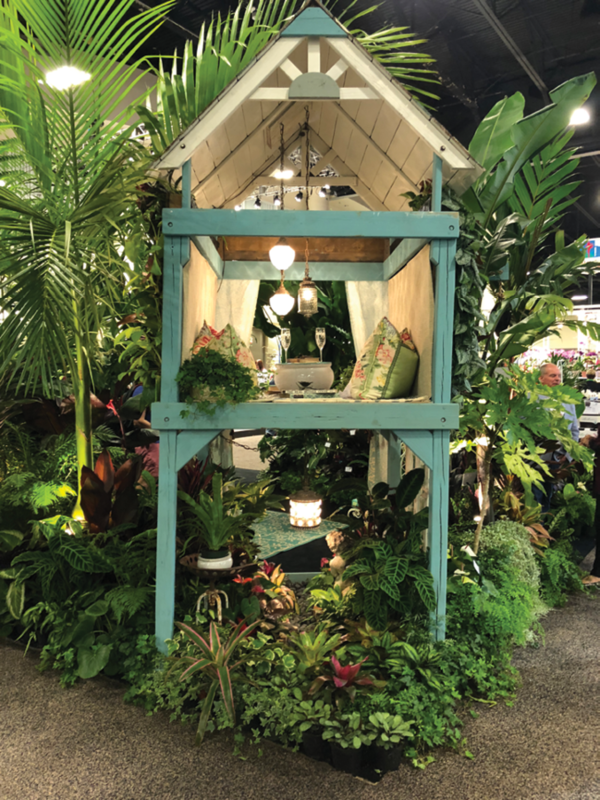 Excelsea Gardens won the Judge’s Choice booth award for its jungle-like booth. 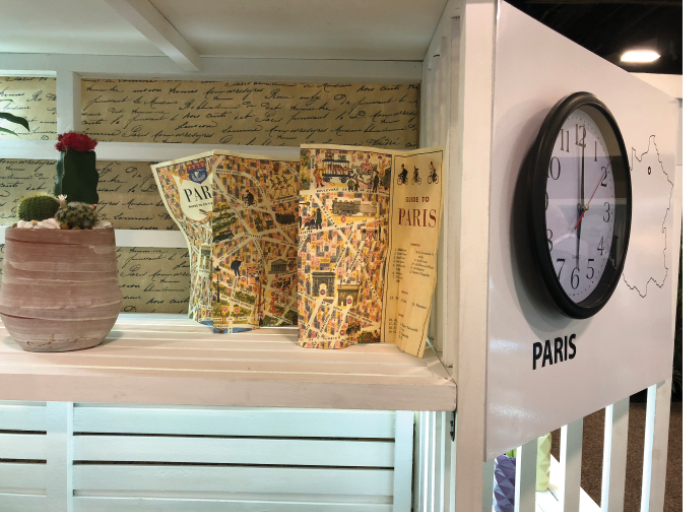 Penang Nursery went all-in on an international travel theme at its booth. 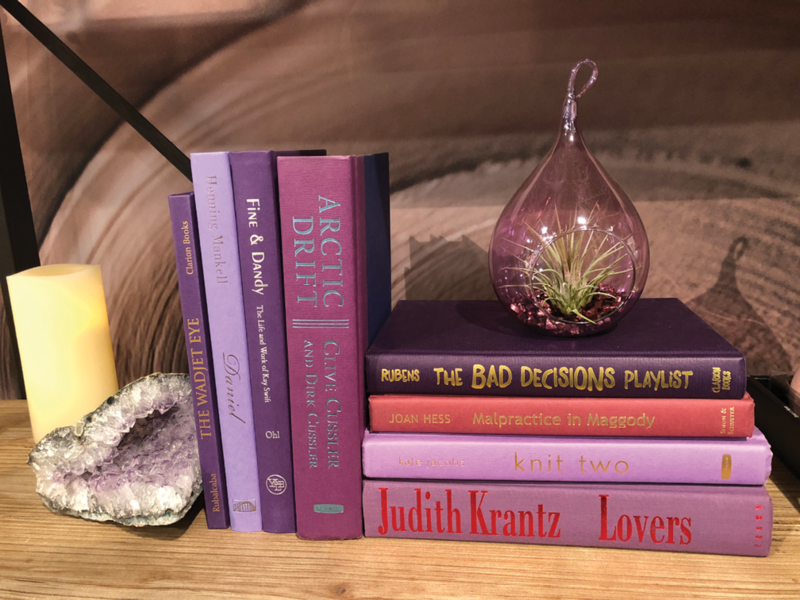 Live Trends gave a nod to the 2018 Pantone Color of the Year, Ultra Violet, in one of its displays. It’s not always a matter of having the newest or the flashiest variety. Sometimes, it’s about rethinking the way the plant is packaged. Here are three creative planters we saw at the show. 1. Kokodama. Sun Bulb Co. showed off its line of Kokodama (sometimes spelled Kokedama) planters, or “handmade spheres made from coco fibers,” potted up with orchids, bromeliads and many other tropical plants. It’s a unique look that could work for a wide variety of plants. 2. Tropical Combo planters. Homestead Growers & Amerigo Farms teamed up to offer these seasonal three-plant combination planters in rustic-style wooden drawers. Each planter has a waterproof liner, a foam insert with spaces for the three plants and moss to cover the foam after placing the plants. At the end of the tropical plants’ life-cycle, consumers can “Twist and Trade” and swap out the plants for new ones. 3. “Jellyfish” tillandsias and sea-themed planters. This year, we saw a “wave” of sea-themed planters, including these from the Russell’s Bromeliads booth, made with sea urchins and shells. Max Luthy, director of trends and insights at TrendWatching, gave an energetic keynote on Wednesday morning. 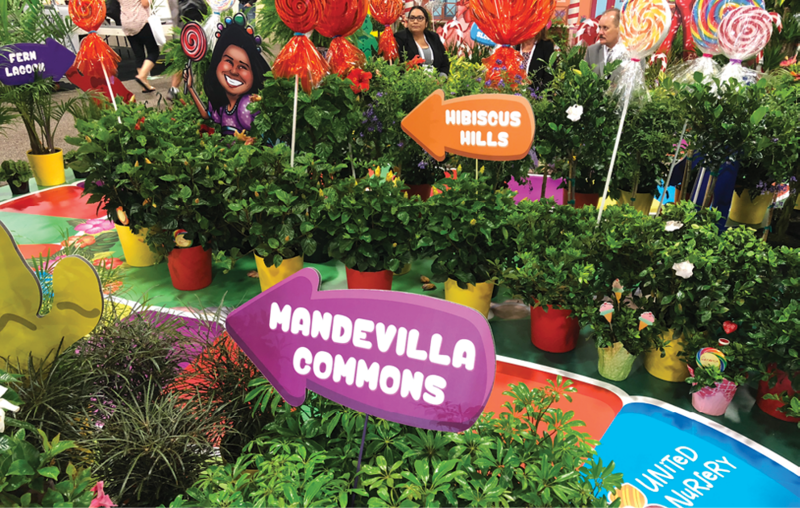 He showcased five trends that growers and retailers alike should keep in mind as they plan for the upcoming year. Spoiler alert: It wasn’t all about technology. Inner journeys. There has been a shift toward ancient forms of self-discovery, Luthy says. That includes anything from learning the art of foraging to DNA testing to biodegradable urns that will grow trees. Modern consumers want to improve themselves and reduce their impact on the world by returning to their roots (sometimes literally). Cultural creditors. We’re finding ourselves in an era of global monoculture, as a direct result of worldwide phenomena such as Pokémon, IKEA and Starbucks. However, at the same time, it’s also become unacceptable to inappropriately depict people from other cultures, such as by dressing up as them at Halloween. The challenge for growers and retailers is determining how to better credit, champion and celebrate the cultures your business and products draw from, without alienating or offending. Are you being respectful with that display with the Buddha statues? 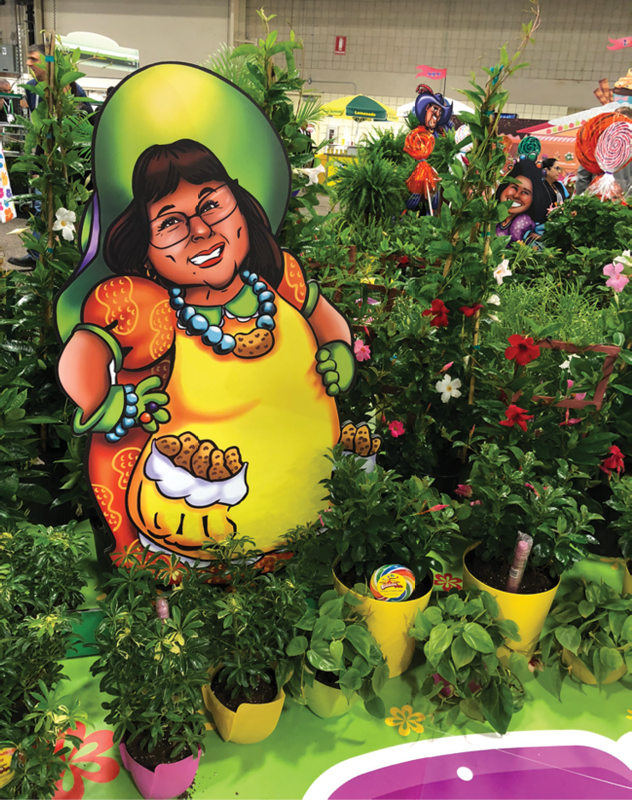 Are you marketing your Asian plant offerings appropriately? Tribefacturing. Rather than marketing to specific demographics or cultures, Luthy suggests using this technique. When you use tribefacturing, you’re grouping people by values, interests and passions rather than beliefs or physical characteristics. Examples of these tribes include: yogis, animal lovers and “makers” or DIYers. Luthy gave the example of one garden center that offered a combination succulent planting and yoga class. Automated commerce. In the past few years, we’ve seen a significant increase in digital tools that help us to automate and streamline processes in our lives. Devices will sense when we’re out of paper towels or milk and automatically reorder them, and others will help us to organize our closet or give real-time feedback on the outfit you’re wearing. “What do your customer interactions look like in the emerging era of automated commerce?” Luthy asked. Max Luthy, director of trends and insights at TrendWatching, delivered one of the keynote addresses during TPIE 2018.